Friday on Perspectives: Why should we pray the Rosary? February might become the new month of Mary. Within the past month, she has been making regular appearances in my life. No, not those kind of appearances. Instead, as is her habit, her appearances are often quiet suggestions of beauty, gentleness and humility. Such is her way. This “re-awakening” to the beauty of Mary within the past few weeks is directly related to a visit from Fr. James Phalan, CSC. Fr. James visited the Salt + Light studios for a few days in February and presented devotion to the Blessed Mother and to the Holy Rosary in a new light. While, yes it is true that the devotion to the Rosary is not a “necessary” fixture in Catholic life it is certainly exalted by many past popes and by many saints to boot. Pope Pius XII once said that the Rosary is the compendium of the entire Gospel". John Paul II referred to the Rosary as his “favourite prayer”. And, if all of this isn’t enough, Fr. James says quite simply that “we pray it because we listen to our Mother”. He went on to explain that Mary has repeatedly asked us to pray the Rosary in her apparitions in both Lourdes and Fatima. "Whatever you ask through the Rosary shall be granted": this was the initial promise of Our Lady to St. Dominic (to whom Our Lady revealed the 15 Secrets of the Rosary). St. Dominic who died in 1221, was the founder of the Order of Preachers or Dominicans. Tradition holds that the Blessed Mother herself asked St. Dominic to propagate the devotion as an antidote for heresy and sin. St. Louis de Montfort warns us against both the ignorant and also the scholars who "regard the Rosary as something of little importance". "The Rosary is a priceless treasure inspired by God," he said. St. Lucia, one of the visionaries at Fatima had firm trust in the Rosary. Our Lady told her that in order “to obtain peace for the world” we should pray the Rosary everyday. "My impression is that the Rosary is of the greatest value not only according to the words of Our Lady at Fátima, but according to the effects of the Rosary one sees throughout history. My impression is that Our Lady wanted to give ordinary people, who might not know how to pray, this simple method of getting closer to God,” St. Lucia said. Fr. Jim Phalan told us that the mysteries of the Rosary are synonymous with the mysteries of our Faith. 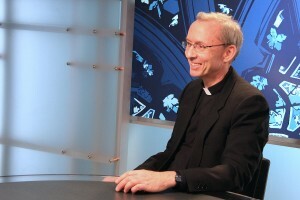 Those who make the Rosary the “soundtrack of their prayer” root themselves in the Gospel of Jesus, Father Jim said. Join us for this Friday’s Perspectives and be edified by Fr. Jim’s conviction and trust in Mary’s motherly intercession. 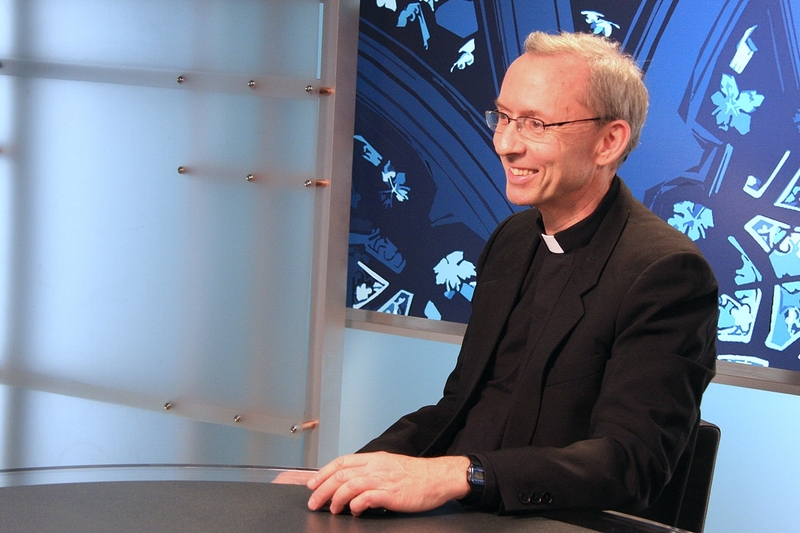 Catch the Rosary fever for yourself this Friday on Perspectives Weekly at 7pm ET, 8pm PT. In the meantime, visit this new virtual chapel initiative recently launched by Family Theatre Productions (a subset of Holy Cross Family Ministries- the community to which Fr. Jim belongs). As previously showcased on our Family day edition (February 21st) of Perspectives daily, the virtual chapel website offers a guided Rosary complete with "current events " intentions of the day, an interactive intention prayer board, full screen icons for "veneration", and nature sounds/ sacred music to help set the stage for contemplation.